A. Jaffe Diamond Wedding Band, .60 CT TW. This A. Jaffe diamond band of .60tdw of shimmering diamonds will beautifully complement your gorgeous A. Jaffe engagement ring. With endless sparkle and timeless appeal, this A. Jaffe diamond band is the perfect symbol for your lifetime of devotion to each other. Available in your choice of 14K or 18K white or yellow gold, or platinum, reserve yours today to receive details on pricing and availability! Come to Tara Fine Jewelry Company to see the entire A. Jaffe collection. Joining top designers from across the globe, A. Jaffe is a top name in bridal jewelry. The showroom is conveniently located in Buford near the Mall of Georgia and houses the most beautiful jewelry as well as luxury Swiss watches by Rolex, Omega, Breitling and Tag Heuer. 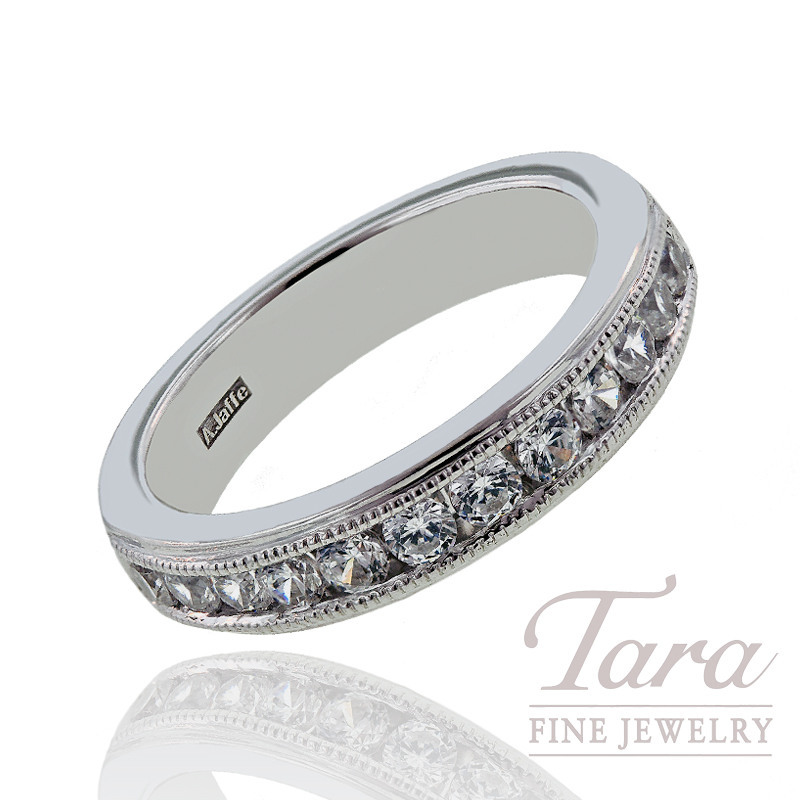 Tara Fine Jewelry Company has remained Atlanta's first choice for the finest jewelry and outstanding personalized service for over 28 years. A. Jaffe Diamond Pendant with Chain (Center Stone Sold Separately) - Click for Available Sizes! A. Jaffe Diamond Engagement Ring in 18K White Gold, .20TDW (Center stone sold separately).